Traditional dermal fillers degrade rapidly, requiring re-injection which can cause complications in the blood flow to the skin. Currently, experts have formulate a new type of dermal filler that can solve all these problems and revolutionize skin and facial rejuvenation- the 3D Hyaluronic Acid Cryogels (3D-HA). Injectable dermal fillers are quickly becoming a popular choice for facial rejuvenation. Because it is minimally invasive and provides instant results, dermal fillers such as hyaluronic acid fillers are administered to add facial volume and smoothen facial lines. But these cosmetic effects are very short-lived and fade over time because of filler migration and degradation. As such, to achieve a dermal filler that lasts long and retains volume and shape, researchers have improved hyaluronic acid dermal filler and create a 3D hyaluronic acid cryogels that can preserve its shape and assimilate with facial tissue. 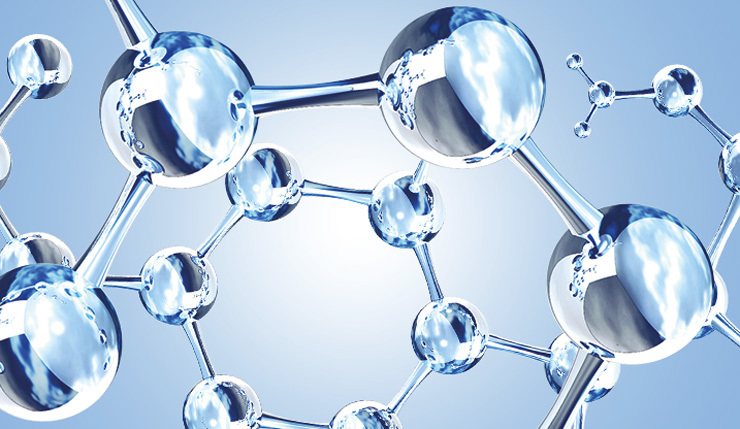 What is 3D Hyaluronic Acid Cryogels? 3D Hyaluronic acid cryogels are non-toxic, injectable compounds that can provide a desirable effect on facial volume and restore its original, youthful shape. The shape and size of cryogels, aside from rate of degradation and firmness, can be customized. In a study published by the Tissue Engineering Journal, it defined the performance evaluation of 5mm methacrylated 3D hyaluronic acid cryogels. In the study, it tested the effect of cryogels and dermal fillers on mice. Grouping eight female mice into four groups, the researchers administered their dorsum with dermal fillers – hyaluronic acid (HA), saline, methacrylated hyaluronic acid (MA-HA) and 3D MA-HA Cryogels. In this study, specially formulated heart-shaped cryogels were used. Using in vivo imaging techniques, the subjects were observed for filler degradation and migration over 30 days. Skin firmness was also noted using a durometer. In addition, 10 mm skin biopsies were taken from injected areas for further analysis. The results of the study showed positive result on the use of shape-memorizing 3D hyaluronic acid cryogels. The in vivo imaging showed that the heart-shaped cryogels retained even until the 28th day after injection. The rate of degradation was slow – a highly desirable quality in the facial rejuvenation industry. The 3D cryogels collapsed under sheer stress upon administered but quickly turned to its original shape without any breaks, fissures or fractures. The use of 3D hyaluronic acid cryogels also revealed no subsequent immune reaction or inflammation. Since the 3D cryogel has a porous structure, bigger than the diameter of subcutaneous blood vessel, there is no risk of blood flow blockage. Overall, the final results implied that the 3D hyaluronic acid cryogels can effectively resolve the limits that arise from the use of traditional dermal fillers. The use of cryogels can dramatically enhance the way cosmetic doctors treat soft tissue regeneration and skin sculpting. Based on further research, the 3D cryogels can be a durable, non-toxic and less invasive form of treatment for soft tissue regeneration and facial rejuvenation.